Matricaria plants carry white daisy like flowers and golden pompom shaped flowers which are often used to create herbal drinks. Matricaria can be either hardy annuals or perennials but are usually grown as half hardy annuals by gardeners. The plants reach an height of between 10 cm and 60 cm. It is the flowers of Matricaria plants that are used to make chamomile tea. 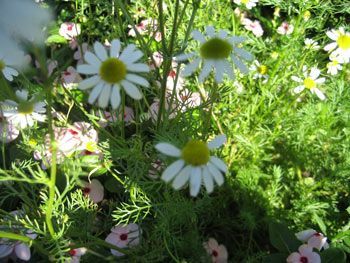 If you want to harvest flowers for making Chamomile tea, it is best to collect flowers on a sunny day (ensuring that the flowers are fully open), then dry them in the sun. Discard the stems and leaves and store the chamomile flowers in an air tight container. Some of the common names for Matricaria include Sweet Chamomile, German Chamomile, Feverfew, and False chamomile. 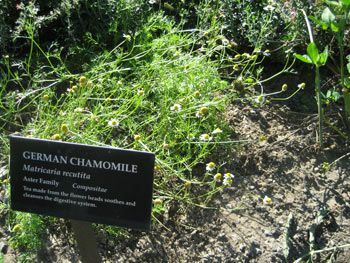 Matricaria recutita – German Chamomile by Eran Finkle; creative commons. 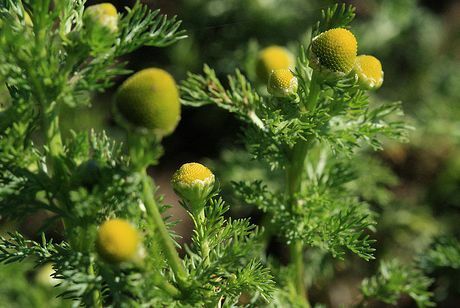 em>Matricaria discoidea - Pineapple Weed by Arran_Edmonstone. Common Names: German Chamomile, Mayweed, Pineapple Weed, Feverfew. Chamomile: Common; Blue; Sweet; False. Life Cycle: Hardy annual. Hardy perennial commonly grown as a half hardy annual by gardeners. Height: 2 to 24 inches (5 to 60 cm). Native: Americas, Europe, Asia, Africa. Flower Details: White, yellow. Symmetric. Daisy-like ray and disc florets. Pompoms. Fragrant. Sow Outside: Surface. Before last frost or in autumn. Spacing 12 to 16 inches (30 to 40 cm). Sow Inside: Germination time: one to three weeks. Temperature 70 to 75°F (21 to 24°C). Seven or eight weeks before expected last frost. Transplant outdoors following the last frost. Requirements: Full sunlight or light shade. Good drainage. Poor soils. Provide a feed early in the growing season. Pinch tips. Deadhead to promote further blooming. 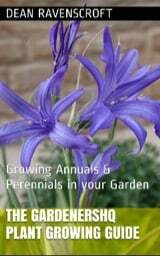 Perennials should be cut back to the ground in autumn. Miscellaneous: Matricaria recutita is synonymous with Chamomilla recutita (German chamomile/camomile) and is the plant that is used to make chamomile tea. Sow the seeds of sweet chamomile outdoors on the soil surface at the start of spring; chamomile should have a light frost for best germination. They can grow in either lightly shaded or sunny parts of the garden, but should have good drainage. The soil type should not be rich and sweet chamomile can grow in poor soils. When starting to grow sweet chamomile seedlings indoors then start about 7 weeks in advance. It should take the seeds about one to three weeks to germinate at 18 to 24 degrees Celsius. Once ready, transplant into the garden at about 20 cm (small Matricaria varieties) to 40 cm (large Matricaria species). 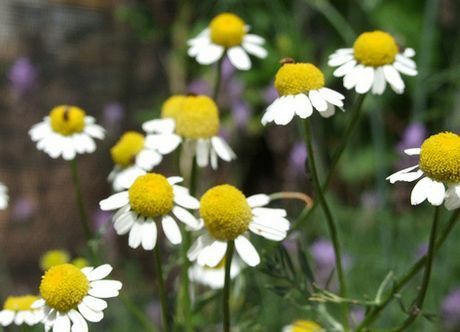 It is easy to maintain sweet Chamomile and other Matricaria plants in the garden. The young plants should be pinched back to encourage bushy growth, and they should be fed in the spring. Once the growing season has finished cut back the plants in the autumn, or ideally remove the old plants and let new ones grow from seeds the following year, for increased intensity.